After making reservations for one night at Goldmyer Springs several months ago, I was so excited the time was finally here. I was also so happy to have the chance to share another backpacking experience with several friends – two friends backpacking for their first time ever! Our day started by waking up just as the sun was rising over Seattle. After my husband and I loaded our car we picked up two friends and headed to North Bend to meet the other four members of our group. We had a quick breakfast and packed up on the last few items and headed down Middle Fork Road towards the trailhead. After a long, slow trip down the heavily potholed road, we arrived at the Dingford Trailhead parking lot filled with anticipation for the day ahead. Since several members of our group were fairly new to backpacking we decided to take the easier route to Goldmyer Springs. 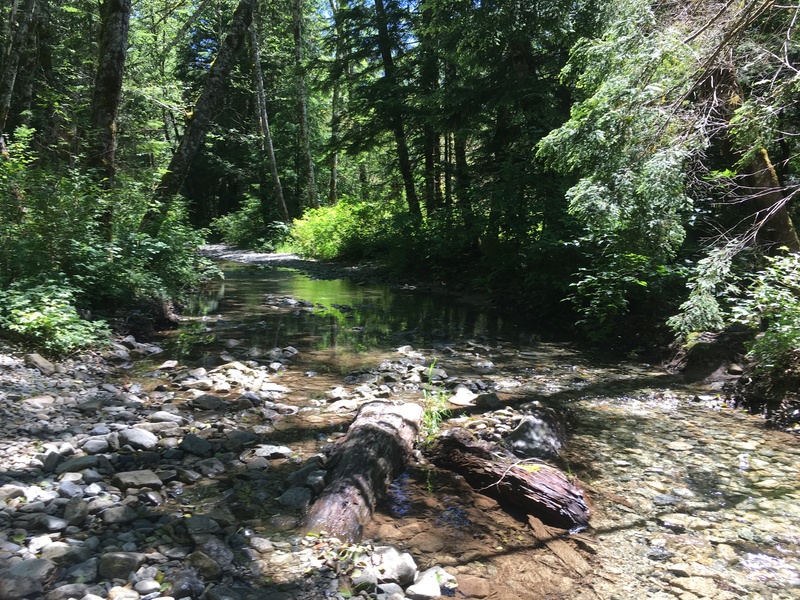 After reading trip reports about the more rugged Middle Fork Trail, as a group we chose to take the trail along the old NF Road 5620 along the thundering Middle Fork of the Snoqualmie River. 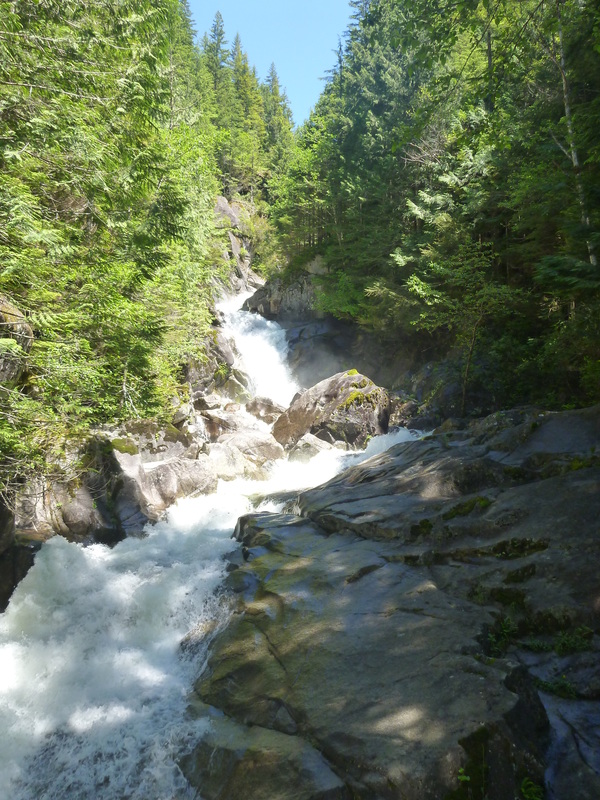 Not long after we started our hike, the trail crosses the river as it tumbles down a powerful waterfall which can be heard long before it’s seen. The trail along old Forest Road is an easy hike as it winds its way through the forest. It was a great opportunity to get to know new friends and share hiking stories as we made our way towards Goldmyer Springs. At times the trail is wide and flat, but evidence of years of erosion can be seen during other sections of the trail. At one point, the trail is completely flooded and we took a detour along small footpath through the forest. 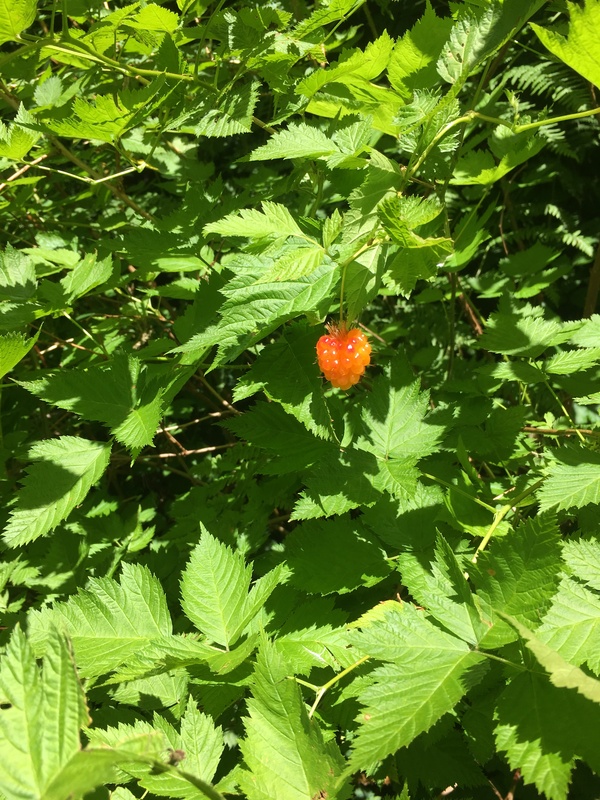 We snacked on ripened salmonberries speckled in every bush beside the trail and enjoyed the peaceful sounds of the flowing river and chirping birds. It wasn’t long before we were crossing the Middle Fork of the Snoqualmie River once again and finally on the last stretch of our journey. 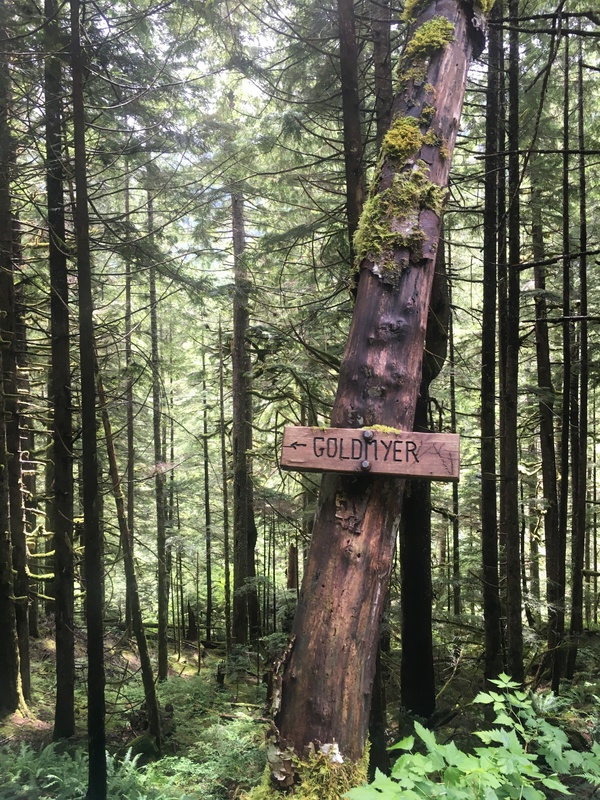 After crossing the Middle Fork Trail, we headed uphill along the Goldmyer Springs Trail filled with excitement. As we arrived, we rang a bell as the sign beside it requested for all guests arriving and leaving the Goldmyer Springs campground. 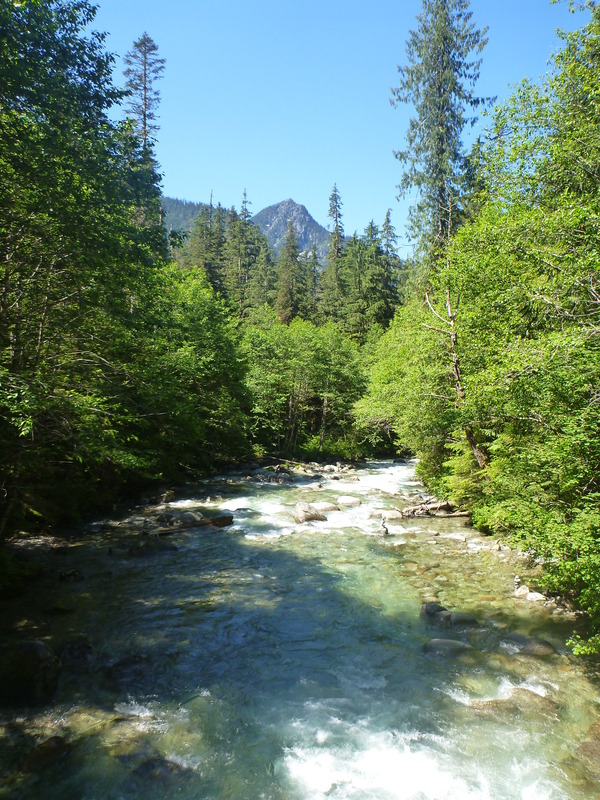 After a brief meeting with the caretakers, our group found two great campsites along Burntboot Creek. This was the best wilderness backpacking camping area we have stayed at to date! 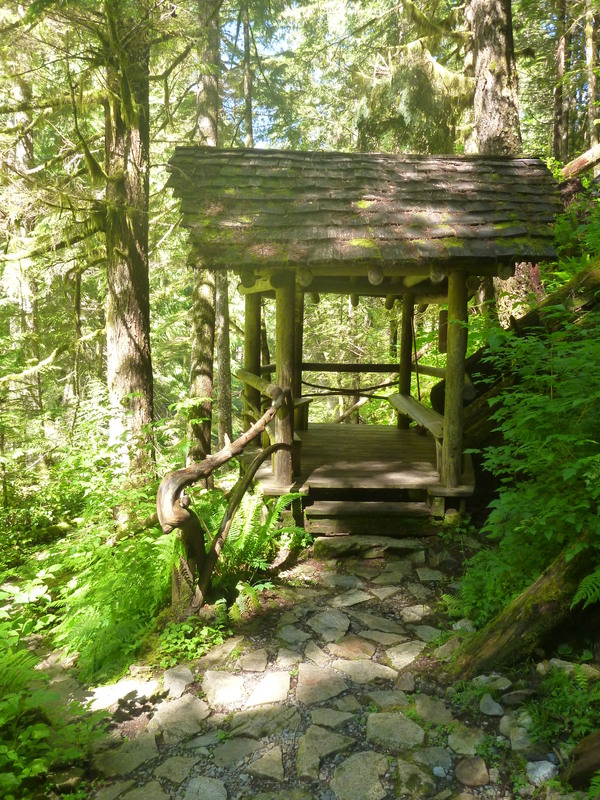 Each site had several logs for sitting and tables provided, and the backcountry toilet was private and clean. With the relief of taking off our packs, we enjoyed lunch as a group and then quickly set up camp with the anticipation of soaking our aching muscles in the hot springs. It wasn’t long before we had our swimsuits on and headed up the 3/4 mile trail towards the hot springs. We quickly learned that proper footwear is best for this short, but steep and rocky hike along Burntboot Creek. As we arrived at the hot springs, the upper part of the springs and the cave was packed with another group. Our group of eight piled into the lower pool, happy to soak our aching bodies in the hot springs. Thankfully we are all close friends, because it was very close quarters. 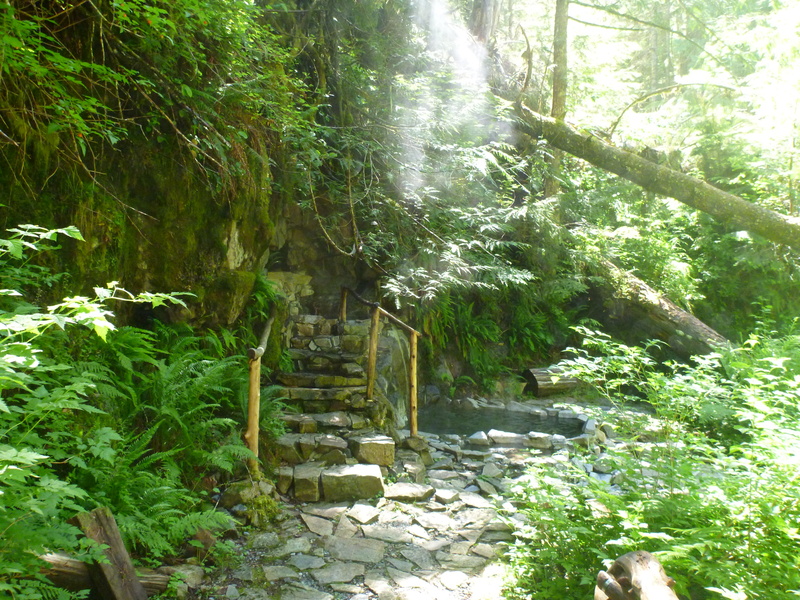 After a very long soak in the lower pool of the hot springs, I explored the upper pool and cave. It was very dark and a little creepy going into the cave as far as I could go. It was also very hot, which only allowed me to stay a few minutes before I was ready to get back into the lower and much cooler pool. 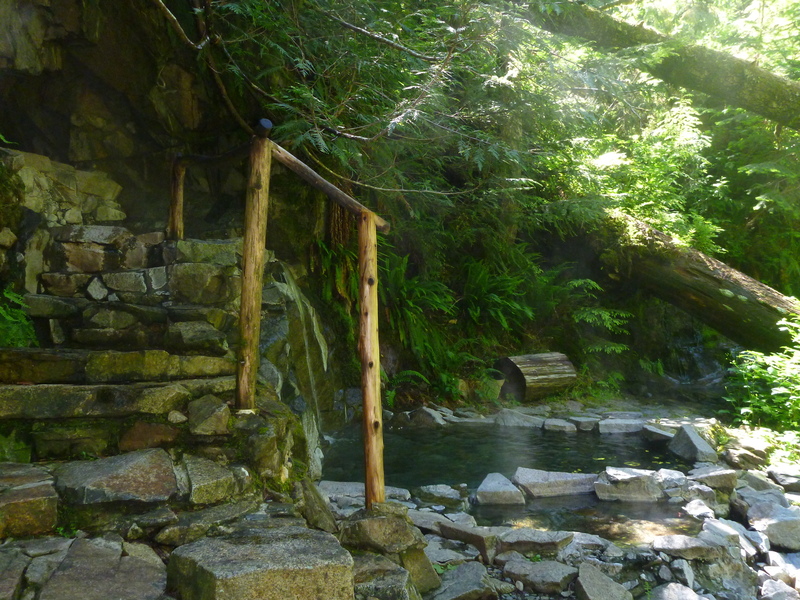 One by one our group left the hot springs after a few hours of soaking. Before heading back to camp, my husband and I spent a little time exploring the rocky area alongside Burntboot Creek. 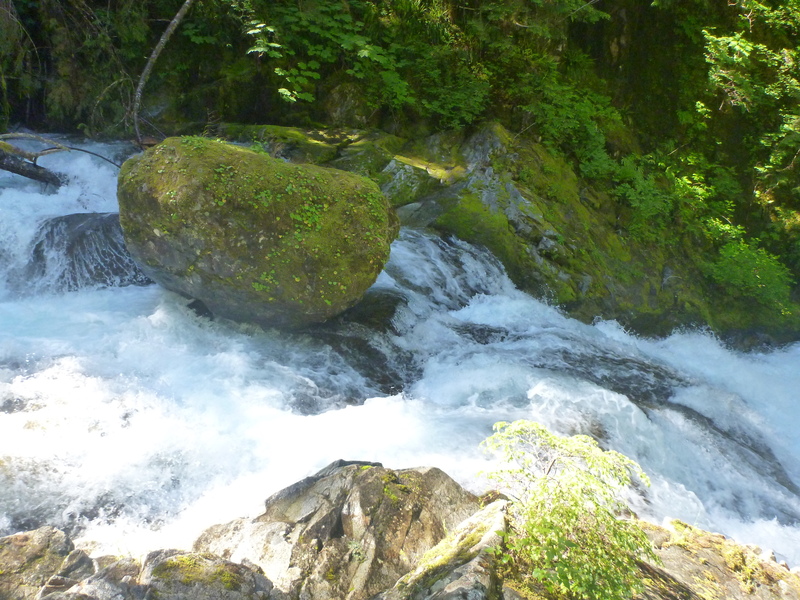 The rushing sound of the tumbling creek was powerful. We let the warmth of the sun dry us off, and then made our way back down to camp. This was our first time backpacking with a large group, and each couple decided to take on cooking one meal for everyone. My husband and I were in charge of dinner that night, and were happy to take on the role of chefs. Because we only had to pack for one meal, we were able to bring luxury items we normally wouldn’t bring. The warm soup and sandwiches hit the spot during the cool evening hours. Once dinner was over, one by one our group disappeared into their tents before the sun even set. The next morning we woke to a bright sun trying to make its’ way into the valley. After a quick breakfast, we broke down camp and prepared for our hike out. As we rang the bell saying goodbye to the caretakers, it was hard to leave this little piece of paradise in the wilderness. It was a perfect sunny day in the Pacific Northwest for a hike. 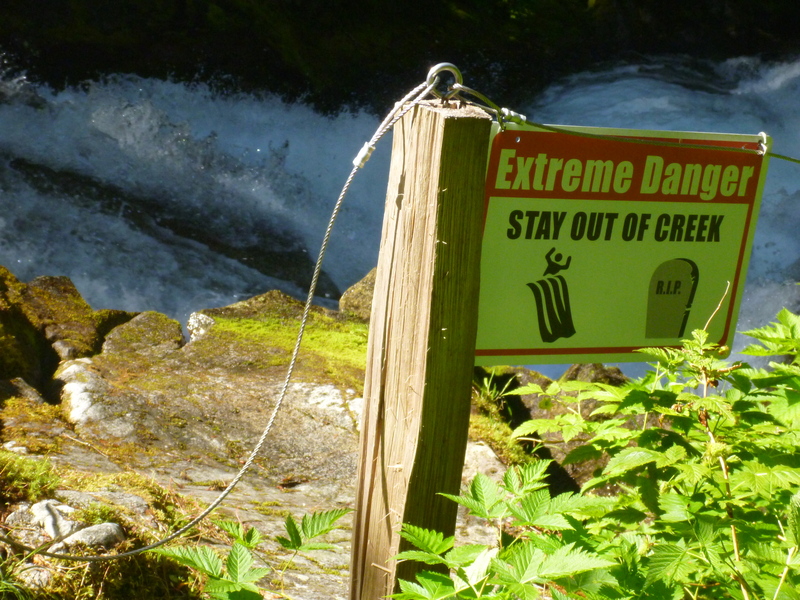 The Middle Fork of the Snoqualmie River was a beautiful backdrop as we hiked along listening to its’ rushing waters. In no time we were back at the trailhead, happy to take off our heavy packs for the last time. 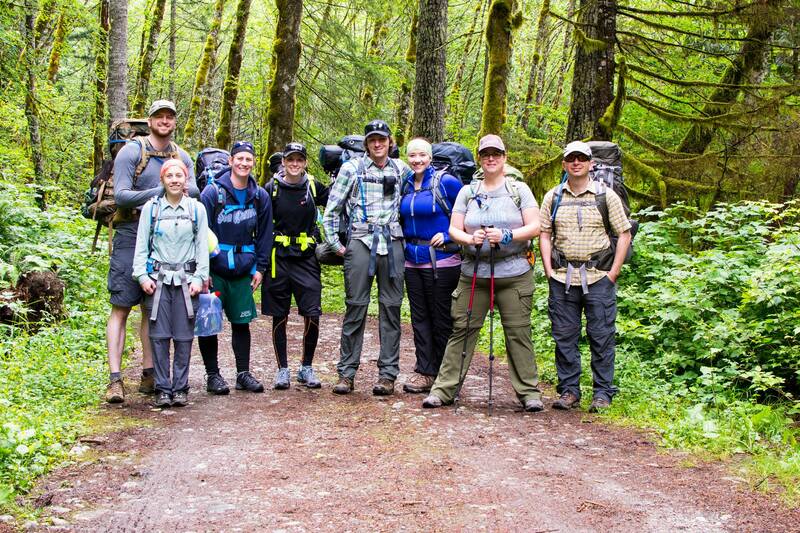 It was another great trip in the WA wilderness with great friends. As usual, it was hard to leave the solitude of the forest, but I know that I will be back soon.